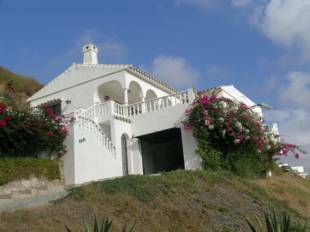 Detached southwest facing villa with lovely sea and mountain views. 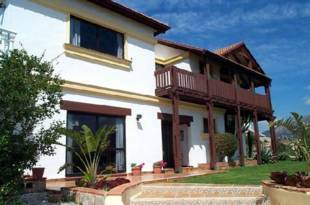 The property consists of three bedrooms, three bathrooms and a very nice size living room and a private garden and pool. 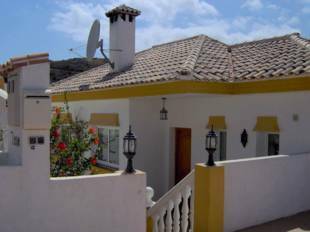 This spacious villa is situated close to Fuengirola Town with its many shops, restaurants and beaches in the sort after urbanisation of La Sierrezuela. The property is of modern design with 4-6 bedrooms, 3 bathrooms set on 2 levels to maximize the wonderful unobstructed views of the nearby coast and mountains. The property is constructed to a very high level featuring high ceilings of pine joists, surrounding wooden balconies and patios. The very large main living / dining area is perfect for entertaining. The Kitchen/ breakfast room is also fully equipped The property is built on an area of 350m2 with an easily managed garden area to the front and side. There is also a large patio/ courtyard ( 250m2) incorporating a fountain large BBQ/ bar area and the pool. It also benefits from Solar water heating and parking for 5 cars. This property has been designed to require a minimum of costs and maintenance, it is fully equipped to be run as a rental business but would also be a lovely family home. Entry is restricted by a high retaining wall and remote control gate. There is easy access to the main coast roads and motorway with Malaga airport an easy 30 minutes drive away and Marbella 20 minutes. This magnificent property is an excellent investment as a family home or a business. Most be seen to be believed! 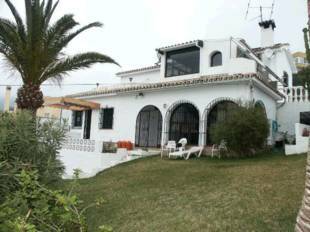 This is a lovely villa on a good sized plot in a rural area just 10 minutes from Fuengirola. It is beautifully decorated throughout and has three large bedrooms and a gorgeous lounge with open fireplace. The house has plenty of terraces including a private and shaded balcony on the upper floor. The gardens contain a large, private terraced area, enclosing the pool, and all have lovely views over the campo towards the sea. 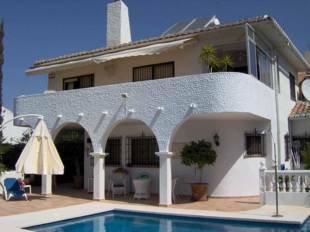 Lovely, immaculate villa in sought after Cerros del Aguila. Built on three levels, with two further garden terrace, it has an open plan fully fitted kitchen, a dining area and beautiful living room that all face towards the west and open on to the top terrace. The sleeping quarters all open on to the pool and lower terrace and garden areas. This villa is completely private, with superb views over the campo towards Mijas mountain. Excellent value. 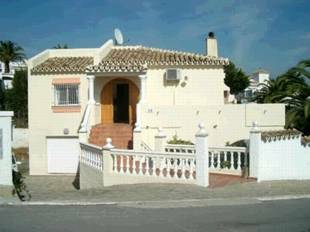 Excellent well maintained detached villa with beautiful views to mountains, Mijas village , golf and sea. The urbanisation has on site supermarket and bars, with central Fuengirola and horse racing track just 5 mins away. Comprises spacious lounge with fireplace and dining area. Fully fitted kitchen. Master bedroom with full ensuite bathroom and purpose built shower. Two further double bedrooms . Shower room with purpose built shower. Attractive arched covered dining terrace off lounge and kitchen. Private pool. Roof solarium. Garage with workshop area. Extensive terraces. Built on one level. Sold unfurnished. Airport only 25 mins away. Beautiful 4 bedroom/4 bathroom villa in the desirable district of Fuengirola, in Cerros de Aguila. Quiet residential area. This individual property is for sale partly furnished with fitted kitchen, benefits the luxury of having private and communal swimming pools as well as a private garden.